Sometimes life’s not fair. We’ve all been told this before, and if you are part of the human resources (HR) department, I’m sure you hear about fairness all the time. But what about you - the HR professional performing manual processes and navigating through a sea of paper work. 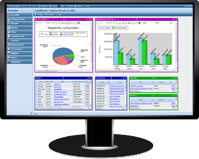 Why do the accounting and operations departments have sophisticated software to make their lives easier? It’s just another one of life’s injustices, but it doesn’t have to be. That’s right, talent management systems are now being integrated into those awesome Enterprise Resource Planning (ERP) solutions your counterparts in other departments are using and are changing the way companies manage their human capital. So how does managing talent with an ERP benefit your company? Let me explain. The purpose of a talent management system is to attract, retain, and develop a skilled workforce to ensure a company has the talent needed in order to grow in the future. More specifically, these systems are integrated software suites that address the three core areas of managing talent: recruitment, performance tracking, and employee development. Let’s look at how a talent management system can ease headaches for the HR department and can increase workforce engagement. Admit it, the recruitment process is a daunting task and selecting the best candidate isn’t easy. One job posting can generate hundreds of responses from candidates with varying levels of skills, and reviewing all those resumes is a time consuming process. Why continue spending precious hours on the tedious recruitment process when a talent management system can reduce these headaches. Talent management systems can eliminate several of the time consuming and tedious tasks related to the recruitment process. For starters, advertising new positions over multiple job board sites and social media sites happens with just one click, therefore reducing the time to advertise new positions. Speaking of saving time, the most time consuming component of the recruitment process is reviewing numerous cover letters and resumes. Quickly reduce the resume review time by eliminating underqualified candidates using pre-screening questions, and using standardized resume templates to enable an apples-to-apples comparison of qualified candidates. When a company has an inconsistent appraisal processes, employees have a tendency to lose motivation. It’s human nature to desire to achieve goals and receive recognition for their accomplishments. Even worse, no one likes giving or receiving an unexpected poor review. Put an end to the inconsistent appraisal processes and create a process that motivates employee improvement. By utilizing a talent management solution, the employee performance tracking program can increase accountability and the entire process is documented within one system, which ensures that the appraisal process is consistent across all departments. Talent management solutions are also designed to make sure the business goals align with employee goals and these individual impacts on the company bottom line are measured. Additionally, goals are tracked throughout the year enabling a multistage approach to the appraisal process so employees are aware their performance throughout the year. There’s nothing more demotivating at work than feeling pigeon-holed into a position. Sure, that recent raise was nice and even the bonus. But let’s get real, no one wants to be doing the same task day-in and day-out for an eternity and employees have aspirations of climbing the corporate ladder. Furthermore, employee development is a critical factor in succession planning. How does senior management identify the skills and talents of individual employees in rapidly growing organizations? The employee development component of a talent management system is critical for identifying top performing talent. For starters, these systems allow employees to build individual talent profiles where they add their skills and career goals to ensure alignment with their development plan. These profiles allow managers to create individual development plans based on the employee’s personal goals, strengths and weaknesses. 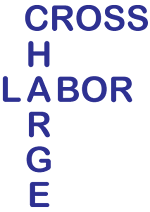 As a result, employee learning and development are tracked within one centralized database where the employee and management can see their progress. 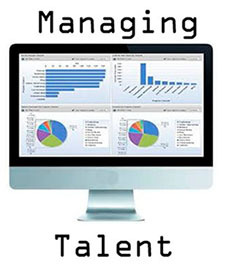 How important is it to have an effective talent management system in place? According to Josh Bersin, “Organizations with superior talent management practices generate 26% higher revenue per employee, 40% lower turnover among high potential employees and 29% higher employee engagement than their peers.” (Bersin by Deloitte 2013) Based on these stats, it only seems fair for HR to have a sophisticated ERP system. 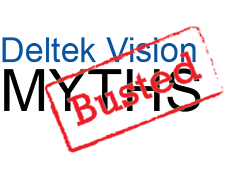 The much anticipated wait for Deltek Vision 7.4 is finally over! To kick off 2015 on a high note, Deltek is releasing the most powerful version of Vision ever. So what features and enhancements are included with the newest version of Vision? Let’s see! Increase project management accuracy with new task dependencies | Plan projects with Task Dependencies, change dates and choose the Predecessor and Successor date changes along with it. Additionally, added right-click functionality to easily move dates. Manage your purchasing approvals in Vision with new workflows as simple or complex as you need them | The new Approvals workflow engine in Vision has been applied to the Purchasing module! Utilize new workflow capabilities to automate your approvals. Customize your invoices with enhanced invoice template editor | Ensure that the details you and your customers need most are always included. Key Convert and Combine Records even if they have planning data. Have questions about the newest enhancements and features included in Deltek Vision 7.4, or looking for information on how to upgrade to 7.4? Reach out to us below, and we will be happy to help you get a grasp on all of the new functionality available to your firm! 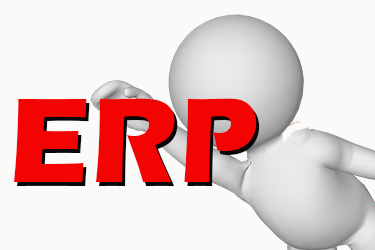 Most savvy business professionals know the ERP acronym, but not all have taken the advice. But why? What’s keeping some companies from “pulling the trigger” and bringing this all important piece to their success puzzle – especially when their competitors are? In my years talking and working with a variety of firms, I have gathered the top five fears why companies, like yours, haven’t completed an ERP Implementation. We solve: An ERP system will address this fear by managing costs and stopping financial leaks. Problem: The industry says that ERP implementation can be expensive and many companies wonder where the money is coming from. Many function under the notion that it’s easier to just do the quick fix and move on. Solution: The right ERP system, implemented correctly with the aid of the right consultants, will fix those expensive leaks in processes. Furthermore, with a detailed IT growth plan and the information from the new ERP, the initial costs will be recouped and you’ll be well on your way to a better financial and technologically focused picture. 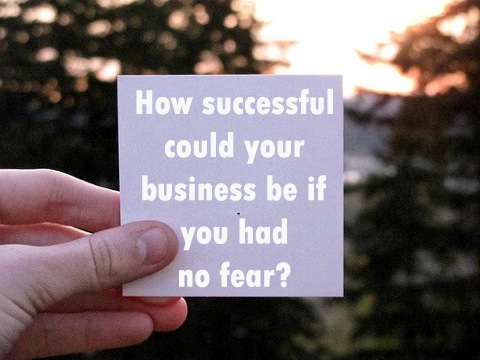 We solve: Taking the first step with an ERP and controlling your future will eliminate this fear. Solution: It’s time to take action - focus on goals and the future. An ERP is a planning, forward-looking mechanism designed to give control over an organization’s future. If the research and work is done at the beginning of the ERP implementation, energy will be focused on the future. We solve: An ERP system helps you succeed by pulling together all your information for a clear picture of your newly improved organization. 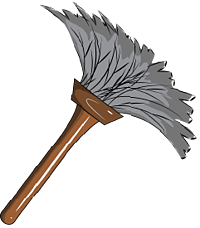 Problem: When you run a lean organization, all internal resources are at full capacity unable to see the big picture which makes for silo’d company data inhibiting the ability to see the big picture. Not having a clear picture serves only to stunt a firm’s growth: it’s this lack of encompassing visibility which keeps a firm from being able to make intelligent decisions or to understand trends, because they are lacking departments and systems that are connected to each other. Solution: A good ERP system will pull together all this disparate data giving users the clear picture they need to move forward and giving everyone the gift of time. Yes, ERP implementations require some work and time to evaluate and establish new processes, establish goals, and get everything running smoothly, but the more attention is focused on the consultants and the implementation, the faster you will reap the benefits and feel the relief. We solve: An ERP consultant will guide you through change. We solve: An ERP is such a supportive tool, it will quickly become a familiar part of your world. Solution: That’s great news, because in a little over two months, with a focused effort, everyone, including you, will have turned these new processes into automatic actions. What’s more, the new processes will have included regular reviews of data giving a clear picture of the entire organization allowing responsible action for your future. We also recommend understanding more about the 8 key ways to make your implementation a success. ERP Implementation Fears Laid To Rest! In the end, while momma’s advice may not have included an ERP implementation, her wise words still resonate and are perfectly applicable to this journey “Nothing tried, nothing gained!” Obstacles are just opportunities waiting to be discovered!